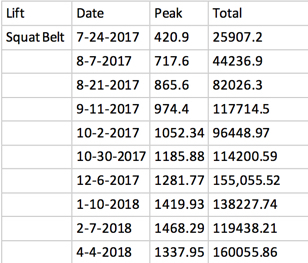 The are the results from Dr. Chris using the Squat belt for 3 minute long isometric lifts. All results are in pounds! This is just one example of an unlimited number of exercises and muscle groups that can be done on the PeakFitPro!